As you've no doubt noticed, over the past 20 years, Italian wine varieties have become increasingly popular in Australia and now varieties such as Australian grown Sangiovese, Nebbiolo, Vermentino and Prosecco are a bottle shop staple. For us lucky fans of Australian wine, an increase in the use of alternative grape varieties has meant a constantly evolving and diverse wine industry as winemakers continue to experiment with different flavours and styles. Don’t know your Arneis from your elbow? Here are a few more commonly seen varieties that you should not be missing out on. Translated as the “blood of Jove”, Sangiovese originated in Tuscany where it is the main ingredient in the most famous Italian wine, Chianti. Sangiovese makes a wine that is medium bodied, red but not purple. A great choice for Italian-inspired red meat dishes. Nebbiolo’s home is Piedmont in the north of Italy and it is the grape behind Italy’s famous cellaring reds, Barolo and Barbaresco. The strong tannin structure makes Nebbiolo a great partner for red meat roasts, ragus etc. In Italy, Barbera is known as ‘a wine of the people’, usually accessibly priced and historically considered an inferior cousin to Nebbiolo however in recent times has established itself as a favourite in its own right. Dark purple in colour and medium bodied, it has a fruity yet slightly acidic flavour. Dolcetto is a black Italian wine grape variety widely grown in the Piedmont region. The Italian word dolcetto means "little sweet one", however Dolcetto wines are nearly always dry. They can be tannic and fruity with moderate or low levels of acidity and are typically meant to be consumed within a few years after release. Sagrantino is a grippy, gutsy red wine that ages gracefully. Second only to Sangiovese in popularity, this red grape is used in great quantities in Italy to make vino da tavola or table wine. Great for a night in with a pizza. A native of Liguria as well as Corsica, Vermentino grows well in warm climates; which means it does well in Australia’s warmer wine regions. It makes a typically Italian styled white wine that is subtly flavoured with hints of citrus and stone fruits and minerals. The Hunter Valley is producing some excellent Vermentino. A white variety from Piedmont, Arneis is one of the more widely planted white Italian grape varieties in Australia. Typical of Italian whites its flavour is crisp, dry and subtle. Prosecco is a sparkling wine with its origins in the Veneto region. Prosecco is made from Glera grapes, formerly known also as Prosecco. In recent years, there has been some debate over whether non-Italian producers can use the name Prosecco as some argue it is specific to the region, not the grape, however this has only been the case since the grape’s name was changed. The debate no doubt rages on but, for now at least, Prosecco it is and Australian wine drinkers have embraced it wholeheartedly. Moscato has become incredibly popular for drinking on its own or even as an aperitif because it’s sweet, low in alcohol and incredibly easy to drink. Historically known as a dessert wine, Moscato has a slight fizz and flavors of nectarine, peach and orange. Victoria’s King Valley, once a tobacco hub, now home to award-winning wineries, great pubs and fine dining restaurants, is Australia’s home of Italian wine varieties. When the big tobacco companies closed down the tobacco industry in the region, the Italian immigrant tobacco farmers turned to their passion – food and wine. 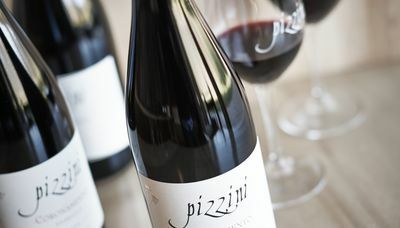 Ultimate Winery Pizzini Wines is a family-owned winery in the King Valley, Pizzini specialises in the production of Italian wine varieties such as Pinot Grigio, Arneis, Prosecco, Sangiovese and Nebbiolo. At Pizzini Wines, on the Old World Flavours, New Vintage Wines experience, enjoy a structured tasting at the cellar door, experiencing both current and back vintage wines while discussing the Italian wine varietals and how vineyard site and the different ‘makers’ techniques have influenced wine styles over the years. As we all know, Italian wine varietals are best served with food so local cheeses will be selected and paired with certain wines so you can experience how the flavours complement each other. Last weekend, another famous wine family the De Bortolis celebrated all things Italian at their latest Regional Lunch, this time discovering cuisine from the Piedmont Region. 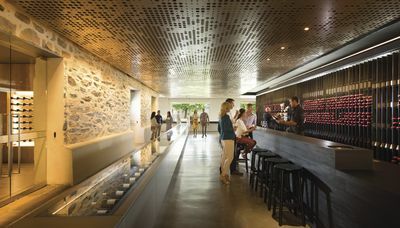 De Bortoli Yarra Valley’s winery restaurant 'Locale' reflects the De Bortoli family's Italian heritage in name and nature. 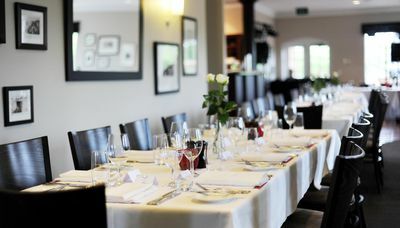 Take a seat to enjoy the best seasonal and organic Yarra Valley produce in its Italian inspired dishes, matched with quality estate grown wines which include Italian varieties such as Sangiovese and Nebbiolo. McLaren Vale has also become known as something of a hotspot for Italian grape varieties, in particular, Sangiovese does very well in this climate. d’Arenberg’s vast and diverse range of wines includes exciting blends such as Sagrantino Cinsault and Viognier Arneis as well as Italian favourite, Moscato.